The long awaited date: September 1, 2015 is almost here. I know it sounds crazy, but somehow I feel the same way I did during the weeks that preceded the first day of kindergarten for each of my four sons. On one hand I can’t wait to finally see Coo and Flutter take flight and set their course for the many adventures that lay ahead of them in the DoveStories children’s chapter book series … But on the other, I’m a teary eyed mess. Can you relate? Or does this sound like nothing more than another ridiculous rambling from a looney bin only a few privileged souls call Dreamdove? You were created to do amazing things right where you are. Know you are loved. These two wacky doves (Coo and flutter) have been part of my imagination, my life, and my family’s lives for several years. They’ve become more than children’s book characters to me. 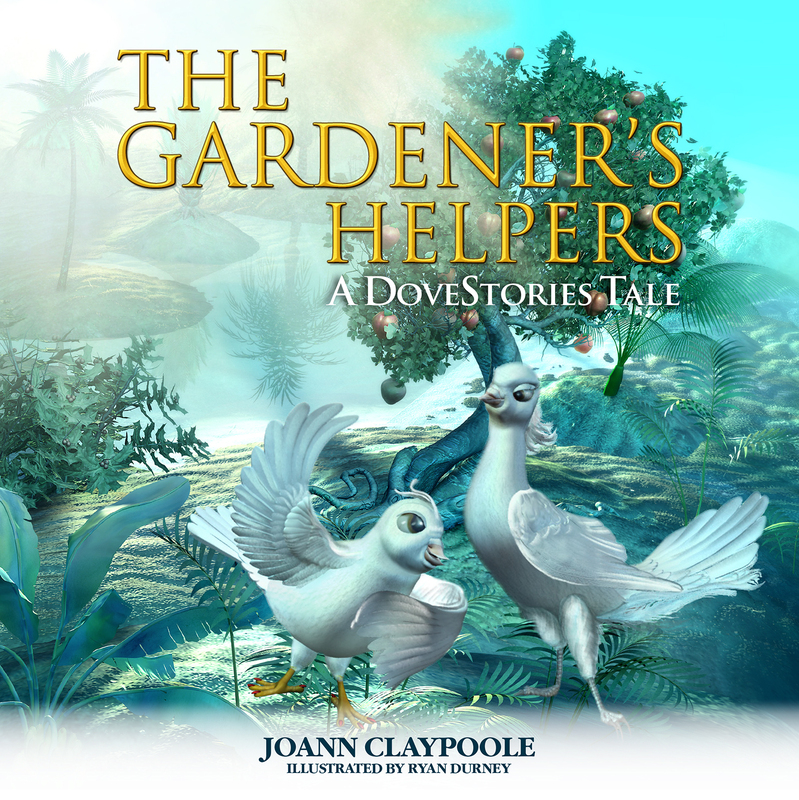 My only hope is this first DoveStories tale, “The Gardener’s Helpers” touches your’s and your child’s imaginations and hearts with their innocence, mission, and love. Check out my official website: joannclaypoole.com for more news about DoveStories and books, missions we’re passionate about.